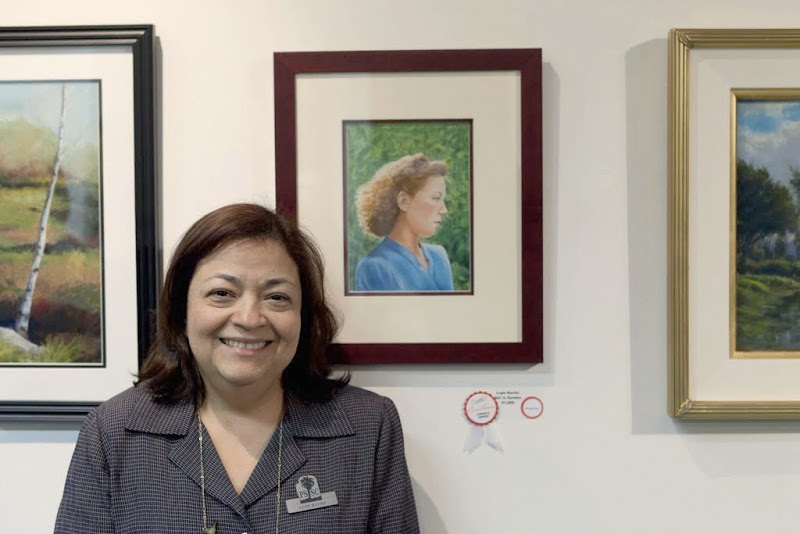 I dropped off my pastel piece at the Manhattan Beach Art Center for our local Pastel Society's member's show on a Thurday and the next day I got a message from the Society's president that I had won the Judge's Choice award. Needless to say I was very thrilled and surprised and pleased! Here I am at the reception held on Saturday, March 26th. There were many, many beautiful entries in the show and many other prizes awarded. 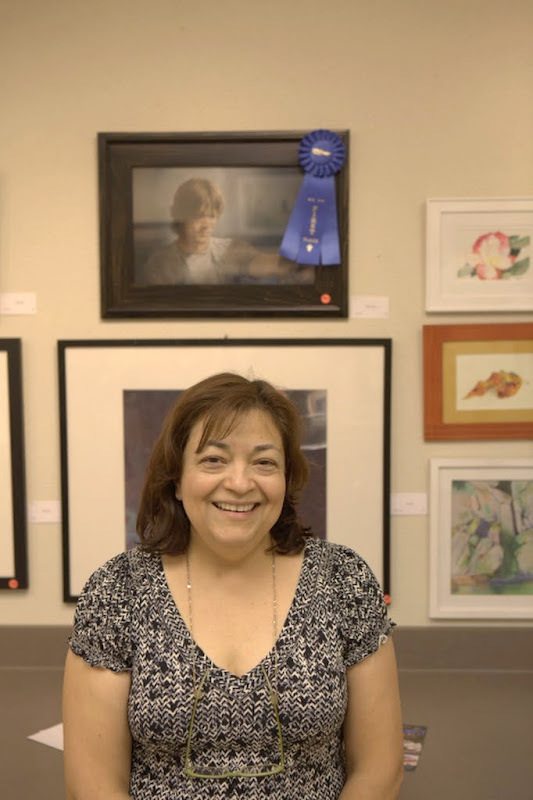 There were 1st and 2nd place member's choice awards, people's choice awards given in landscape, figurative, still life and abstract categories, plus a special plein air award. I felt very honored to be in such distinguished company. It has been a very exciting month for me. 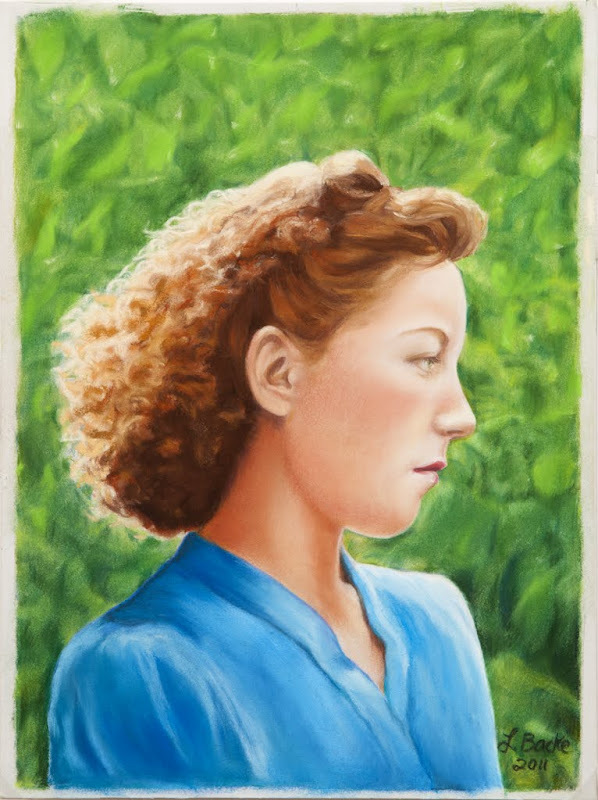 I was also honored to be awarded the first place award in the non-professional category in the Cypress Pencil Painting art show. This is put on by our local CPSA #214 chapter of the Colored Pencil Society of America. After starting to work on this piece again, I realized that I really should try to work with some of the softer stick pastels if I wanted to get closer to the vibrant, lush look of the pastels I admire so much. I have a starter collection of various soft and medium pastel sticks. I figured that to start it would be wise to organize and catalog what I had. This was easy with the two sets of Rembrant and the Schmincke pastels, it was a lot harder with the Sennelier A L'Ecu set. The Senneliers are 80 very soft half sticks with no labels! I had to figure out which color was which using the little numbered color swatches on the side of the box. 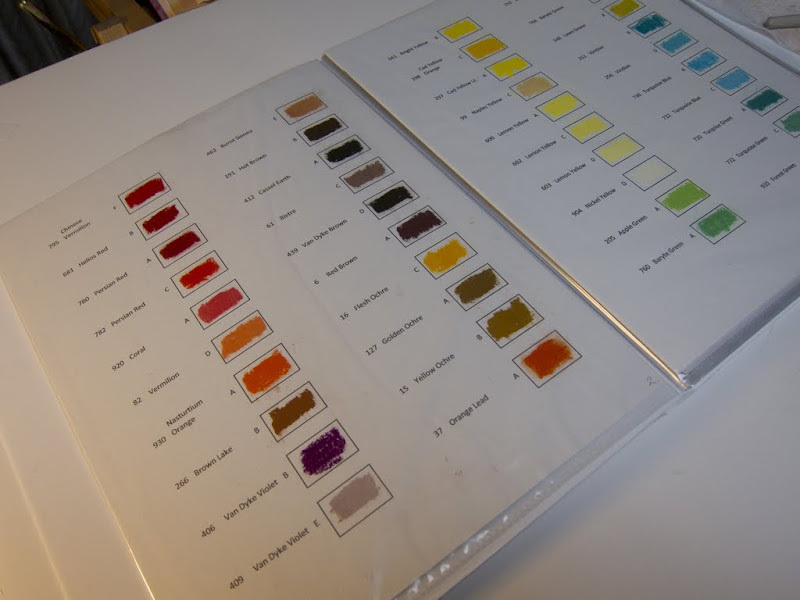 I did find and download the Sennelier color chart from their website, but the colors on the side of the box were slightly truer. I finally ended up making a chart where I marked down all the names and numbers and then tried to match the actual pastels to the right spot. These were my best guesses for the different colors. Two pastels are certainly wrongly matched. I'm sure that #710 called Steel Blue is not the pinky colored stick I put in that spot. The same goes for #400 called Mouse Grey, this light purple stick was the only one I had left. 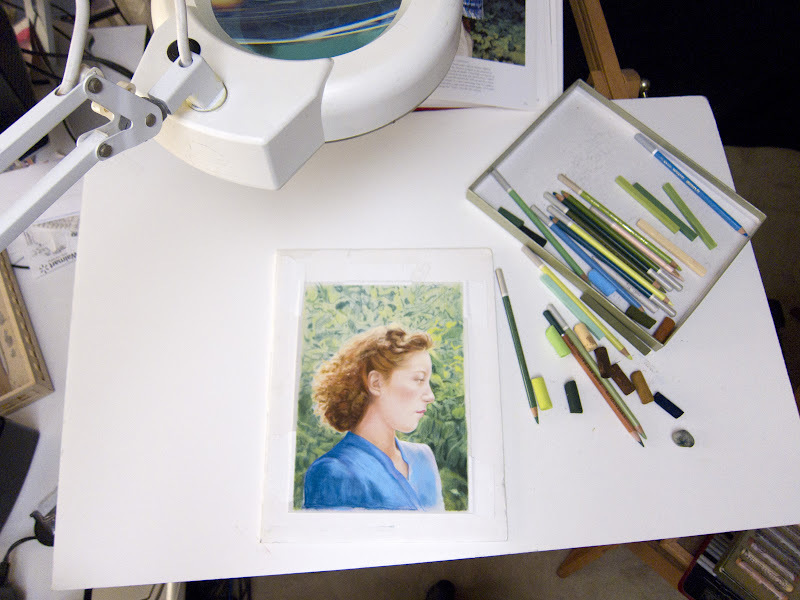 Later, I also switched the pastels I had sitting at #37- Orange Lead (pure color) and #512, a light tint of Raw Sienna, thinking it was a better match. Based on all this, I made myself a color chart. Now when I use up a stick I'll have a better chance of reordering a correct color. Aside from the practical value of cataloging my colors and making the color charts, I think it was a useful exercise just to familiarize myself with all the colors I have and how they relate to their color names and the color families that the different manufacturers produce. 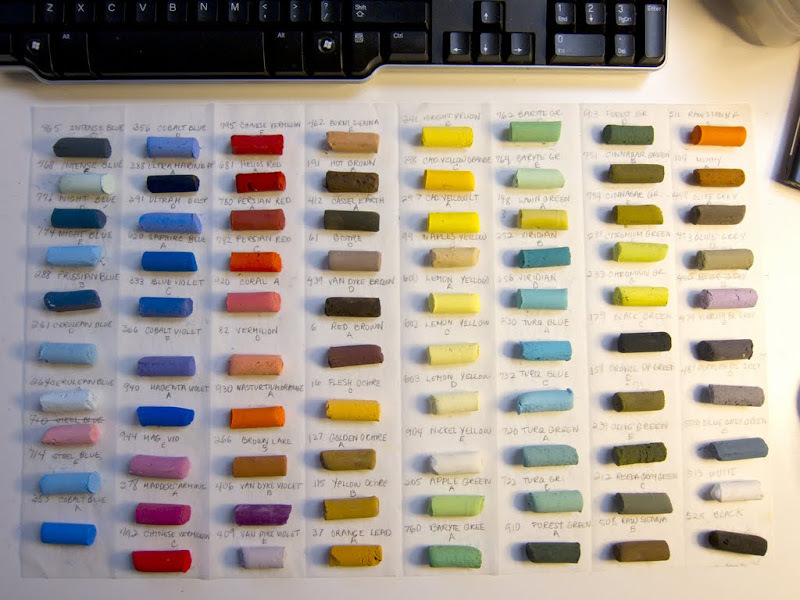 Maybe someday I'll be brave enough to dump all the pastels out of their boxes and organize them into color groups regardless of brand, just like the real pastel artists do.